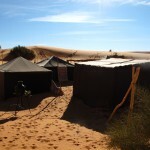 NOSADE Desert Day Trip offers you the best chance to experience a short stay in the North African Sahara desert. 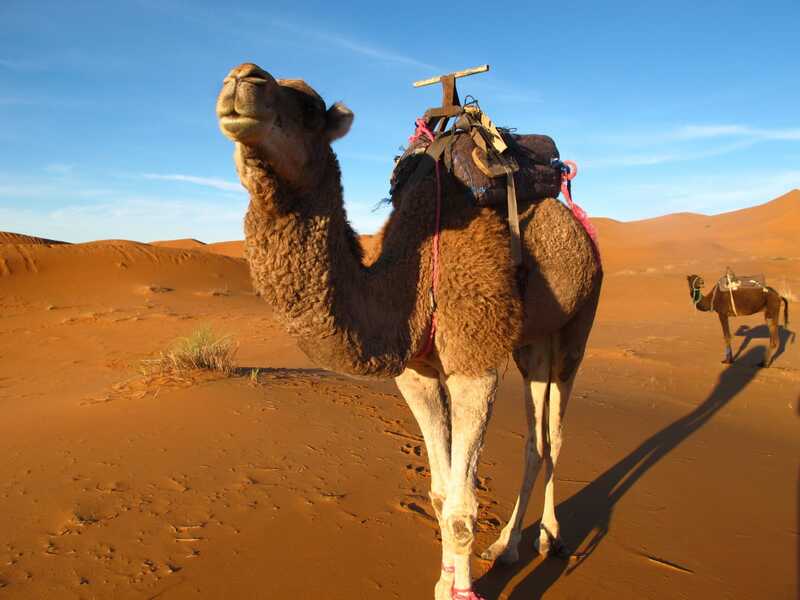 Whether you plan to spend just a few hours or 1 night in the desert, you will embark from Merzouga in southern Morocco onto a desert day trip quite unlike anything you have ever experienced. 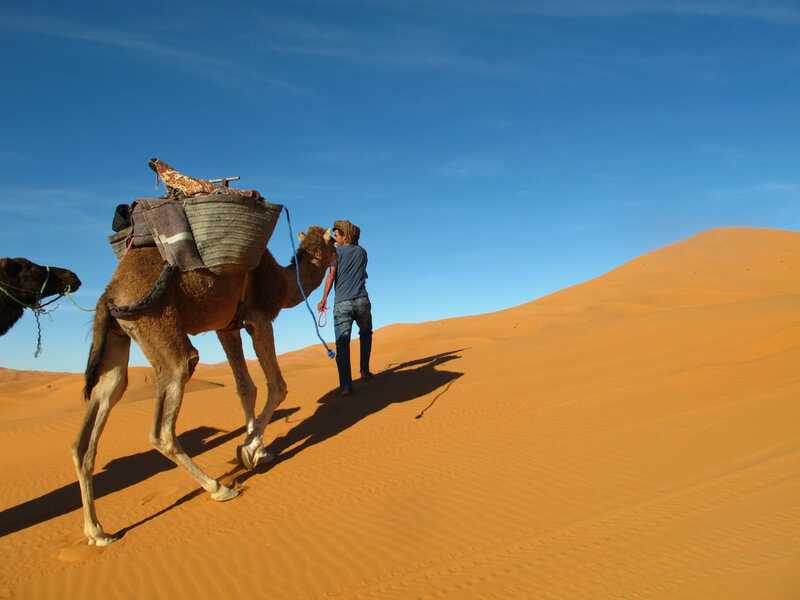 Once you arrived Merzouga and after enjoying a glas of Berber Whiskey you will find everything ready and prepared to take you to the desert. 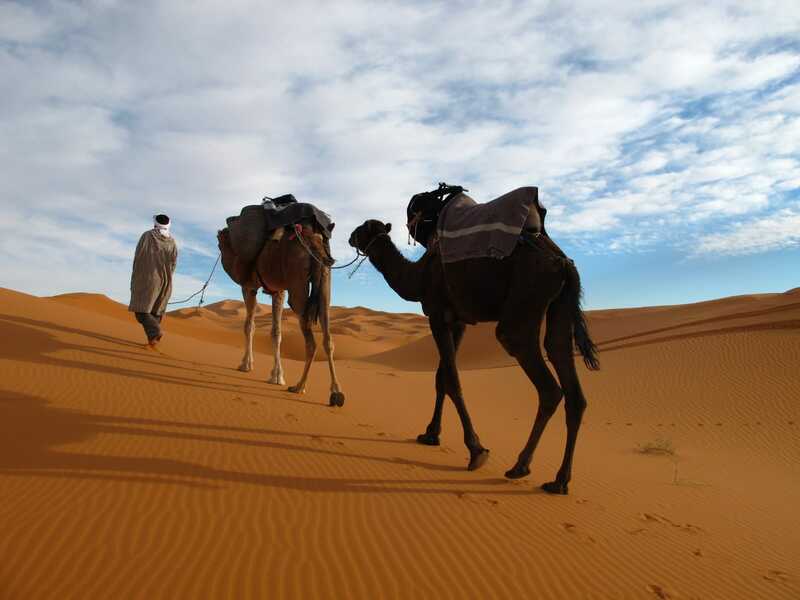 On your trek through the sand desert, passing through a sea of dunes of up to 150m in height, you will be accompanied by an experienced local guide and pack camels, making for a safer and more comfortable hike. 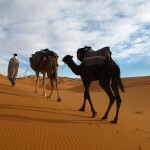 Climbing a giant dune will allow you to understand why Erg Chebbi is called the “Sea of Sands”. After 2 hours you will be back in your chosen hotel. Once you arrived Merzouga and after enjoying a glas of Berber Whiskey you will find everything ready and prepared to take you to the desert. 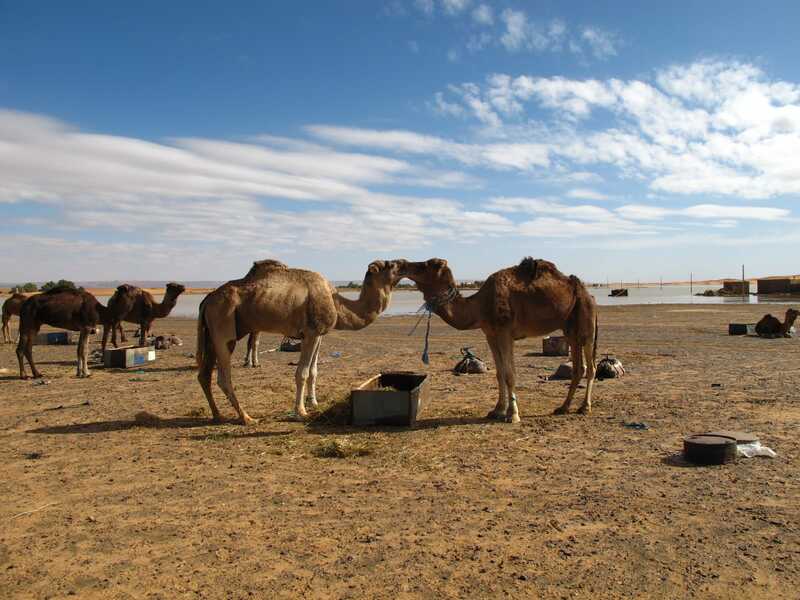 On your trek through the sand desert, passing through a sea of dunes of up to 150m in height, you will be accompanied by an experienced local guide and pack camels, making for a safer and more comfortable hike. Climbing a giant dune will allow you to see the full width of Morocco’s Sahara desert, that is called the “Sea of Sands”. 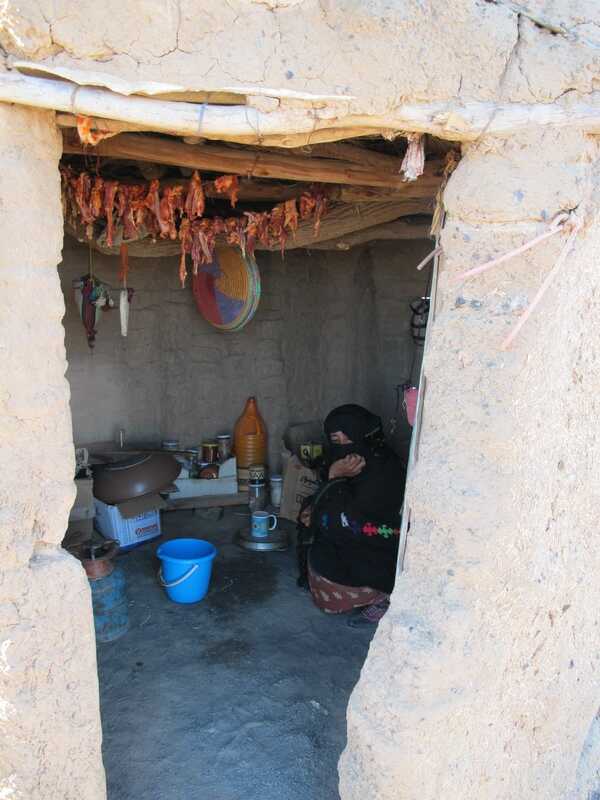 You will enjoy a typical lunch or dinner in a beautiful desert oasis and be back in your chosen hotel after 6 hours. Once you arrived Merzouga and after enjoying a glas of Berber Whiskey you will find everything ready and prepared to start your desert trip. 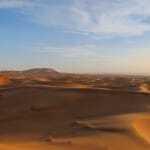 On your trek through the sand desert, passing through a sea of dunes of up to 150m in height, you will be accompanied by experienced local guides. Pack camels will carry your equipment and provisions, making for a safer and more comfortable hike. 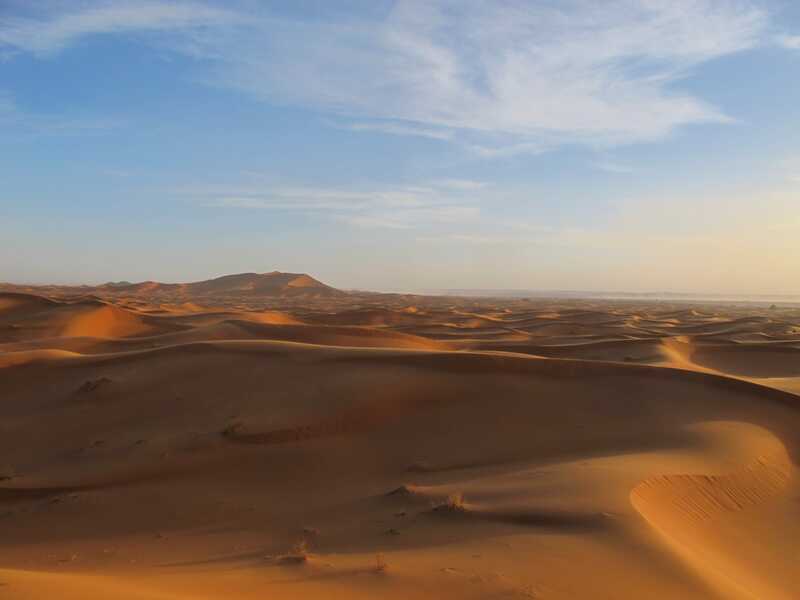 Climbing a giant dune will allow you to understand why Erg Chebbi is called the “Sea of Sands”. 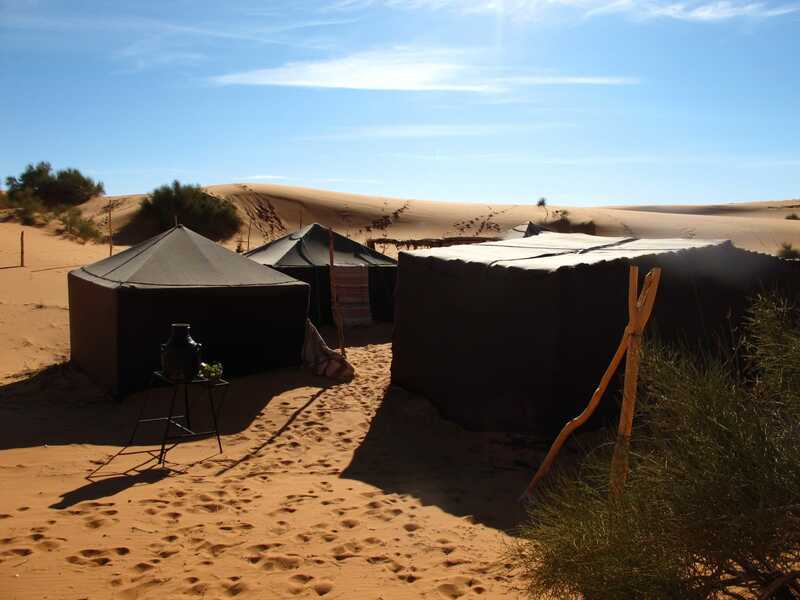 At nightfall, a well-equipped desert camp (consisting of three comfortable Berber tents with mattresses, linen, toilets, a restaurant, and a kitchen) awaits you, where you watch the sun set over golden dunes. Seated around the camp fire you enjoy a Moroccan dinner prepared by your Berber chef under the most amazing night sky. Without the light pollution of more densely populated regions, you will be able to see stars and planets in a breathtaking star show that few places on earth can hope to match. Evening fades to the sound of Moroccan drums before you fall asleep in the calming silence of the desert. 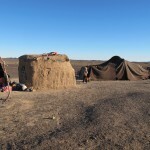 After experiencing the sunrise and another glas of Berber Whiskey you will be back in the hotel. You can take a shower there and enjoy a fortifying breakfast overlooking the desert one last time before making yourself ready to depart for any of your chosen ongoing adventure. 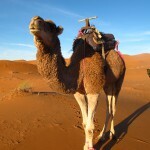 We are organizing transportation from all cities in Morocco to the desert no matter if you wish to be picked up from Marrakech, from Fes, from Casablanca or from Tangier – if requested. 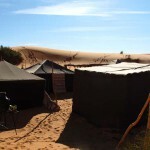 Should you wish to be accommodated by NOSADE in or close to Merzouga, please let us know. We are happy to organize the full package for you. 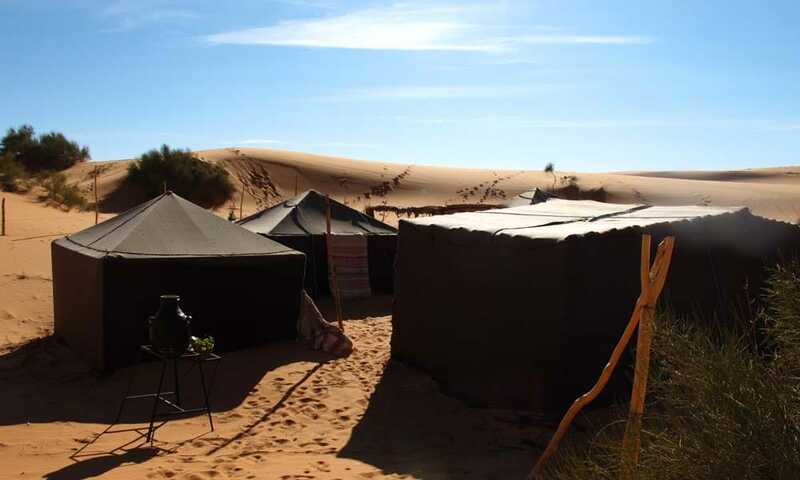 You have the chance to be accommodated in Merzouga in a popular traditional Kasbah (Hotel) on the only hill there overlooking the Sahara. The Kasbah is family-run, welcoming and has exceptionally nice rooms with terraces facing the dunes. If you wish to be accommodated by NOSADE, please check the accommodation options we offer together with our partners. 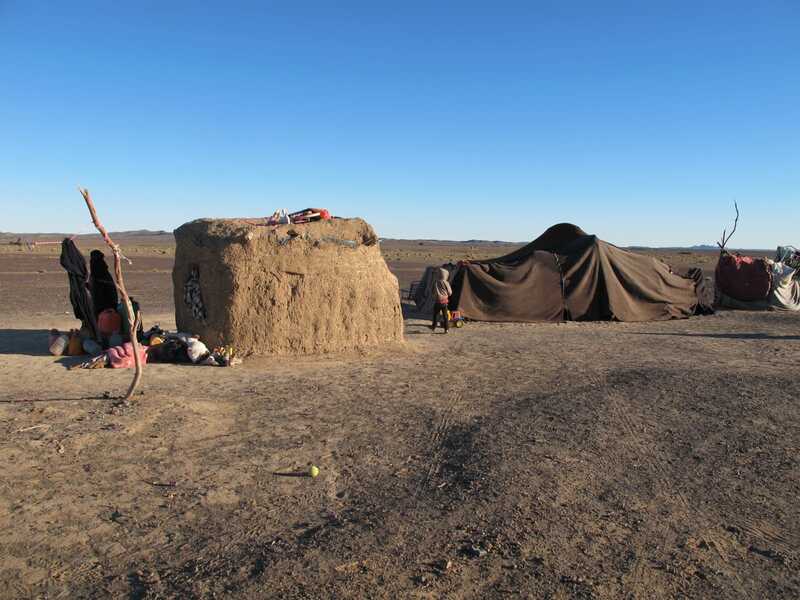 In the desert camp you are accommodated in traditional Berber tents equipped with comfortable beds with mattresses which will serve as your housing right in the middle of the desert. 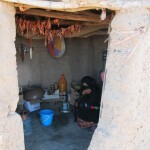 The camp furthermore holds a kitchen, a restaurant and toilets. Prices start from €29,- per traveler. 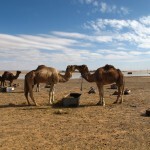 A private guide, dromedaries, food, drinks, entertainment & accommodation in a tent – if needed – is included. Prices depending on the chosen duration. …and send us your individual booking request!